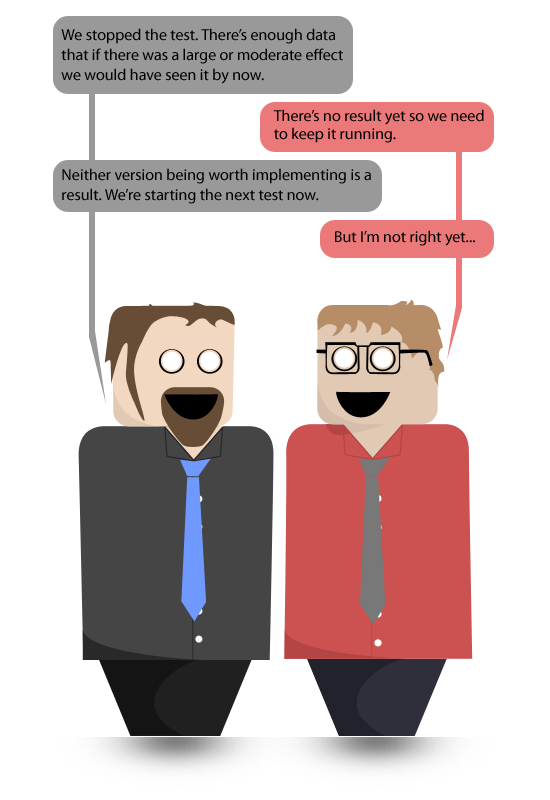 Unfortunately, like so many other things that reach buzzword status, the use of testing in business seems to be almost symbolic in application rather than practical. As long as you can put the words “A/B test” or “Multivariate test” on a slide associated with whatever was done you can label yourself as data driven. Planning, actually being able to link what you are testing to a business outcome, follow some kind of a process, no matter how simple or even understanding some basic concepts like p-values, effect size and confidence intervals, that hardly matters. This entry was posted in Analysis and tagged Experimental Design by Supposed Ninja. Bookmark the permalink. Bridging the gap between reality and absurdity in online marketing. The phrase "Purported SocMed & Digital Marketing Guru" was first seen in the wild in a job ad. It is a bizarre job title and an absurd concept, kind of like a lot of other things to come from the professional side of the Internet.